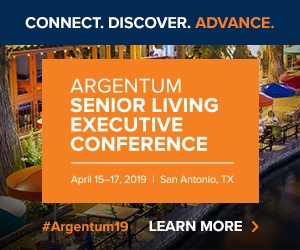 Senior living developers might want to pay more attention to McAllen, Texas; Augusta, Georgia; and Virginia Beach, Virginia. That’s because those are the three metro markets where conditions may be ripest for new senior housing development, according to a recent analysis from senior living development consulting firm Plante Moran Living Forward. The ranking was built using weighted scores for metrics indicating favorable penetration, activity, and performance. McAllen stood out as a relative unknown overall, but Plante Moran’s market watchers also noticed extremely low penetration rates there caused in part by a lack of senior living presence. While it’s a relatively small market, the lack of competition in McAllen could make it extremely attractive for developers looking to move dirt in virgin territory. In the case of Augusta, penetration rates are also below major market averages, Plante Moran found. Assisted living and independent living occupancy are hovering around 90%, and the market appears unsaturated with new development, suggesting a need for additional units. Virginia Beach, meanwhile, took the No. 3 spot for its mix of stable occupancy rates and lack of new construction activity. The area also has penetration rates that are in line with other market averages. Households aged 85 or older are expected to grow rapidly in the states where all three markets are located. Texas, for example, is expecting a 70% increase in those households between 2015 and 2030, while Virginia should see a 71% increase. Georgia, meanwhile, is expected to see a 85% increase in households aged 85 or older by 2030. Still, the above data is just a snapshot of the possible conditions on the ground, Plante Moran cautioned. Interested parties would need to conduct a market study to grasp the full picture.